Mueller Co 15 gallon insulated and jacketed reactor. Reactor interior has 4 baffles and is all constructed of stainless steel. The internal pressure rating for the vessel is 25 psi & full vacuum @ 340° F. The jacket is rated for 100 psi @ 340° F. National Board # 4438. The reactor has caster. This unit has a .5 hp 1725 rpm Lightnin agitator that is tagged for hazardous locations with (2) 4 blade propellers. The top has (4) .5″ diameter NPT inlets and (2) 1.5″ NPT outlets. The side has a 2″ NPT for insulation, a (2) .75″ NPT jacket in/outlets. The bottom has a .75″ NPT, a .5″ NPT, and a 1″ NPT center discharge reduced to .5″ NPT that is 6″ from the ground. Overall dimensions are 42″ wide x 42″ long x 80″ tall. Serial number 140409-1. Requires 115/230 vac 1 phase electrical supply. AMI TopZip model D-2500-25-RH is a resealable packaging system that affixes a zipper along the top, short side of polyethylene packages (ex. Ziploc). TopZip can run up to an estimated 60 bags per minute. 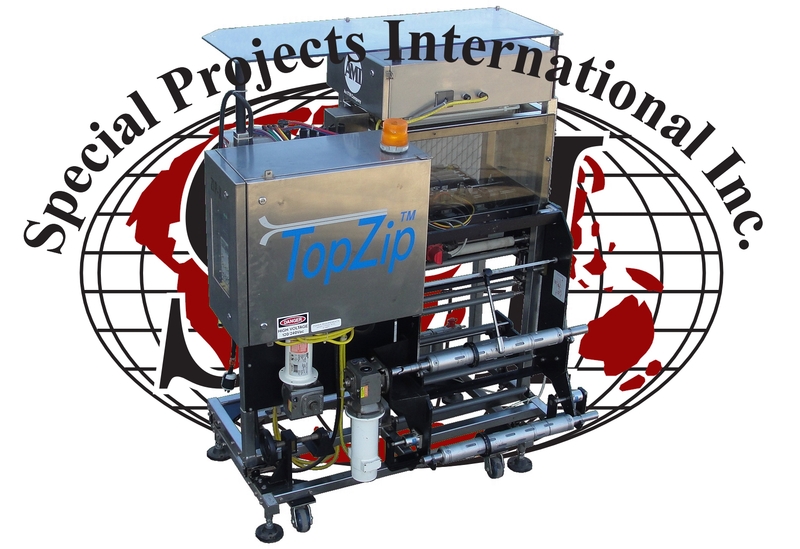 The TopZip system can be used with any vertical bagger and can be used inline with form, fill, and seal equipment. The reclosable zipper application is currently set up for 1629 type zipper. The unit includes a Branson BCA 900 ultrasonic power supply. Serial # 00021801. Requires 220 vac, 3 phase, 20 amp electrical and 80 psi pneumatic supplies. Built 2000. This unit was inspected at our warehouse by an AMI technician and is in working condition. Good condition. 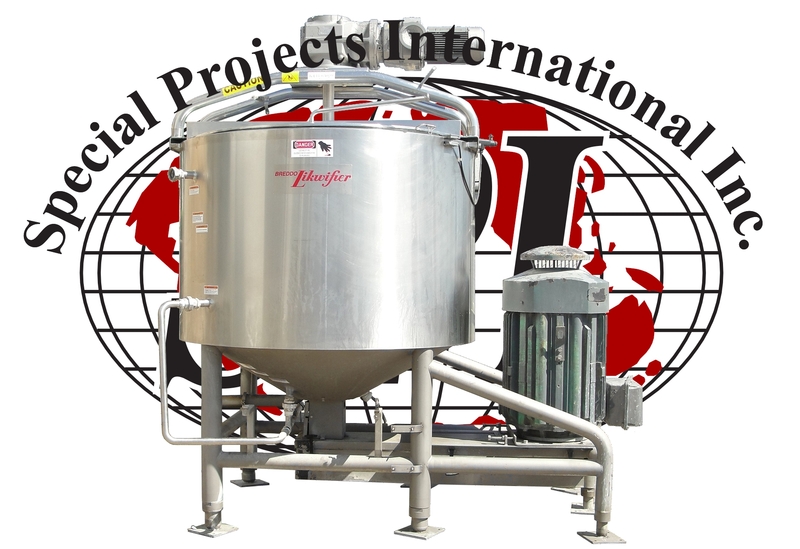 Breddo Likwifier 600 gallon 316 stainless steel jacketed scrape surface conical bottom blender. Model LORWWSS and size 600 gallon. National Board # 32546. Interior dimensions are 64″ diameter x 40″ straight side height x 15″ cone. Overall dimensions are 72″ wide x 123″ long x 116″ high with legs and agitator. 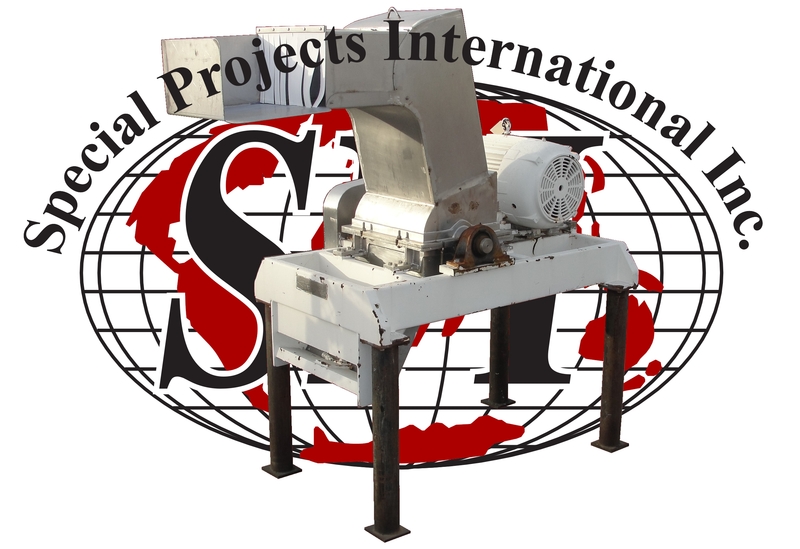 The bottom has a 3″ Tri-Clamp discharge that is 25″ from the ground and a 14″ diameter high shear blending impeller driven by a 125 hp 1770 rpm motor. The top has (2) 1/3 hinged lids, (4) 2″ Tri-Clamp inlets, (2) 1.5″ Tri-Clamp inlets and (1) 2″ inlet. The side and bottom jackets have a Maximum Working Pressure (MAWP) of 125 psi @ 400° F, a Minimum Design Metal Temperature (MDMT) of 0° F @ 125 psi, and (4) 2″ NPT inlets/outlets. Tank is equipped with a side and bottom scrape agitator. Agitator is driven by a 7.5 hp 1720 rpm with a 96.8:1 ratio gear reduced euro drive motor. Serial number 267622 01117. Requires 230/460 vac 3 phase electrical supply. Built in 2001 and refurbished in 2008. Cost an estimated $97,500 new. Good Condition. Palamatic Rota Slit bag opener. Stainless steel construction on contact surfaces. Capable of handling 2-8 50 lbs sacks per minute. 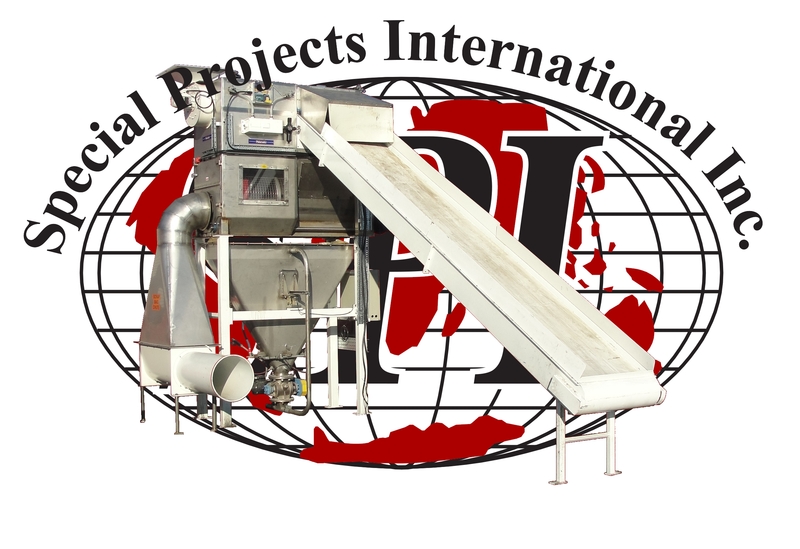 The sacks are loaded onto a 30″ wide x 18′ long conveyor and feed to rotating cutting wheels to open the bag. The product is separated from bag by screw and screen system. This also allows for delumping of product. 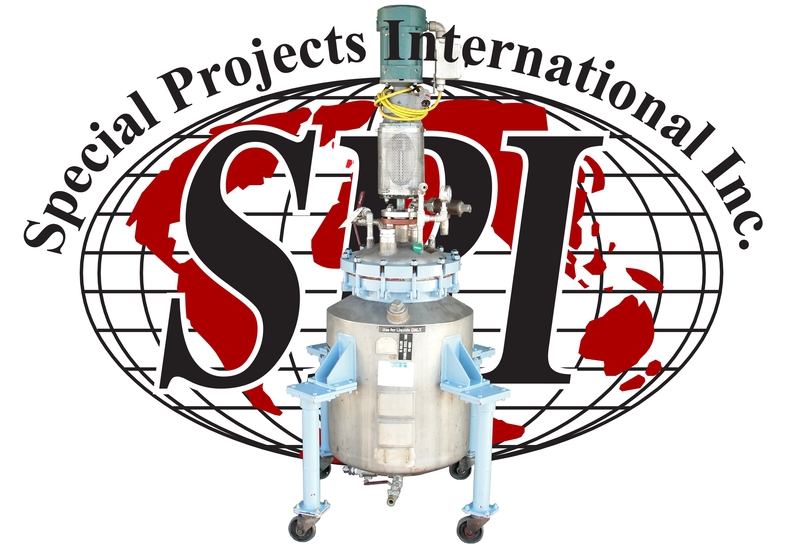 Product is discharge to through chute to 4″ rotary airlock then to 1.5″ discharge line. The bag remnants are sent to a bag compactor for collection. Overall dimensions of unit are 9′ wide x 20′ long x 13′ high with conveyor. Requires 230/460 vac 60 hz 3 phase electrical supply. Excellent condition. The Fitzpatrick Company Fitzmill stainless steel GuiloRiver mill. Model 59. The GuiloRiver mill is used for pre-breaking or sizing frozen food products. 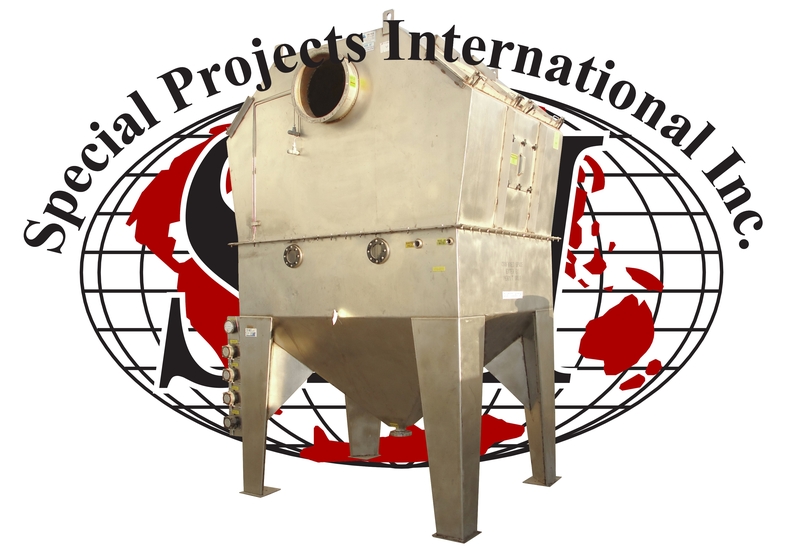 The mill has 15″ diameter x 20″ wide rotor, a 11.75″ x 20.25″ infeed hopper that is 74″ from the ground, and a 17.5″ x 21″ discharge that is 36.5″ from the ground. Rotor is driven by 50 hp 1770 rpm motor. Overall dimensions are 45″ wide x 95″ long x 92″ tall. Serial number GR-20-538. Requires 208-220/440 vac 3 phase electrical supply. 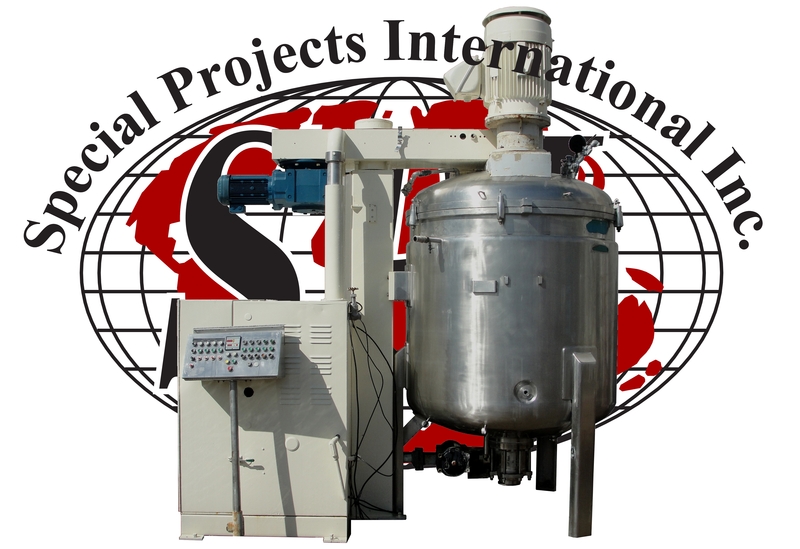 2400 Liter working capacity Fryma model VME-2400 vacuum mixer. The tank has an overall height of 101″ to the top of lid including legs and 87″ to the top with the lid removed. The overall diameter of tank with jacket is 63″. The interior dimensions are: 61″ diameter, 54″ straight side height, 11″ dome top, and 11″ dish bottom. The working temperatures are 150° C for the interior and the jacket. The interior has a pressure rating of -1/+1 bar and the jacket has a 2.5 bar rating. There are two agitator drives, a 7.5 hp motor that drives a center 3 prop agitator and a scrape agitator through a chain drive and a 50 hp motor that drives a disperser type agitator off to the side of the center shaft. The top has an 8″ flanged opening that is clamped shut and 6″ glass inspection port with light. The top also has a 2″ sanitary, 1.5″ sanitary, and (2) 1″ threaded fittings. The bottom has a 6″ sanitary discharge with a pneumatically operated valve. Fabrication # M10510. Requires 230/ 460 vac 3 phase electrical supply. Previously used for toothpaste. Good Condition.